Welcome to Accu-Fordable Lead Paint Inspection! 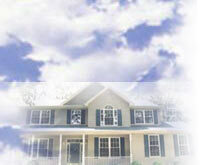 Thinking of buying or renting a property in Massachusetts that was built before 1978? There is a good possibility that the property contains some amount of lead paint on the exterior, interior, or both. In fact, if a child aged six or under is to reside there, Massachusetts Law requires that the property be tested for Lead Paint Hazards. Here at AFLPI, our priority is to advise you concerning the many new options that are now available for dealing with lead paint. We will guide you through the complicated regulatory requirements for Massachusetts Compliance. And we will help you to choose the most economical solutions. Please click on the links at the left for more information, to schedule an inspection or to contact us with any questions or concerns.